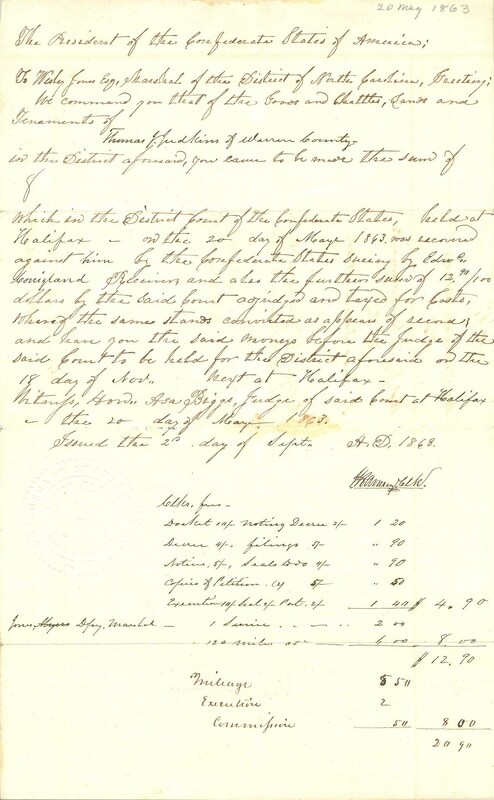 Item Description: A legal document describing the seizure of assets belonging to Thomas J. Judkins of Warren County by the Confederate government. More About This Item: The papers of Joseph Ramsey, a lawyer living in Rocky Mount, N.C., include documents relating to “the legal handling of intersectional debts and the sequestration of enemy alien assets by the Confederate government.” This document may be related to the Sequestration Act of 1861 which allowed, among other things, the confiscation of federal property as a source of revenue to fund the Confederate States’ war efforts. Item Citation: From the Joseph Ramsey Papers, #2451, Southern Historical Collection, The Wilson Library, University of North Carolina at Chapel Hill. ~ the 20 day of May 1863. Issued the 2d day of Sept” A.D. 1863. Tho” J. Judkins of Warren Co. 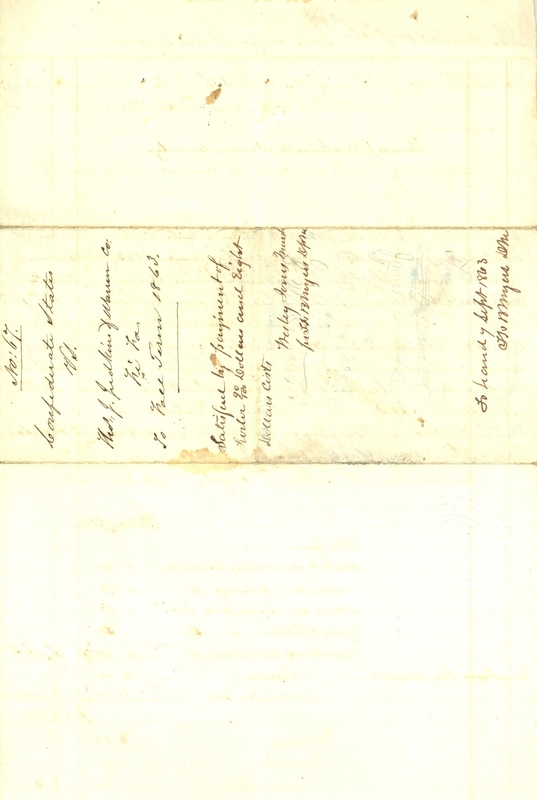 This entry was posted in Southern Historical Collection and tagged Joseph Ramsey, Sequestration, Warren County. Bookmark the permalink.